What Do You Really Want? — ROYAL F.I.R.E. Good day my Royal Queens! It’s Friday eve! Yayyyyy! This week seems like it flew by but that’s probably because I had so much going on. But anyway, let’s get into today’s topic, Accountability. I hear so many people say they want accountability but then are intimidated when it’s provided. What are you really asking for? Let’s explore this accountability topic. By definition, accountable is an obligation or willingness to accept responsibility or to account for one’s actions. 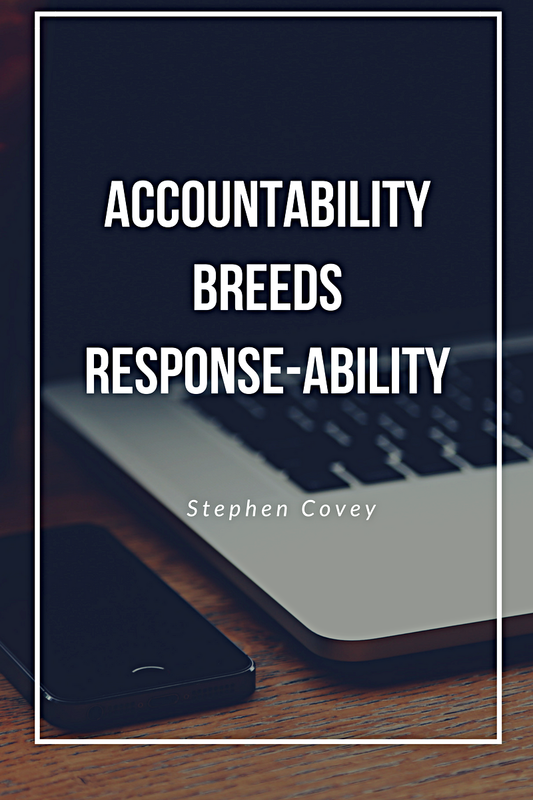 In my opinion, accountability is holding one to a standard and helping to meet a goal by refocusing and keeping one on track. So often do I hear people saying they want accountability but they only want the part that feels good. Being held accountable means taking responsibility for the things that went right as well as the things that went wrong. It means accepting corrective criticism for the purposes of growth. It means being honest and transparent with your accountability partner and not hiding from them when you know you haven’t been doing what needs to be done. We cannot pick and choose when to be held accountable when we ask for it. I personally believe that people get offended when held accountable because they don’t understand what they are asking for. What offends you reveals you. If you’re asking to be held accountable to overcome lust or to meet weekly fitness goals but you get upset when your accountability partner calls you out on inappropriate actions, then maybe you don’t really want accountability because deep down inside you really aren’t ready to let that thing go. You cannot accept correction criticism because you aren’t truly ready to change. Being held accountable can hurt sometimes because you are purging yourself of things that you are accustomed to. It’s like changing your eating habits. Your body is used to eating less than nutritious food or not eating enough. Then you go and change everything you eat and start eating more frequently. Initially it can be overwhelming and your body starts to freak it. It’s trying to adjust to the changes being made. Eventually, after about a few weeks, these changes aren’t an issue, you feel better, and you’ve made a lifestyle change. Accountability can be uncomfortable but as you grow it gets better. If it were comfortable, would you really be making any change? You would still be doing the same things in your comfort zone which is the complete opposite of the desired outcome. Know what you want and expect from accountability. Be sure to understand what you’re asking for and be willing to accept accountability and all that it entails. Well ladies I pray you received something from this. Find you an accountability partner and make things happen. If you aren’t sure what to look for in a partner or would like me to be your partner, comment below. It’s a great day to be alive; let’s make it count!